I have a confession. I rarely finish books. Don’t get me wrong, I enjoy browsing but I don’t read much. I read the introduction, the first chapter (for the premise) and then flip through the pages looking at chapter titles, section headers and the occasional callout. Why? I get enough information and motivation from that. It saves time since I don’t have a lot of it. More people would read more books if they were shorter. Wouldn’t you? More should pick up a 20-page book than a 500-page book, no? The thought of picking up a gigantic book hasn’t crossed my mind since college. No matter how interesting it sounds. The majority of people agree. 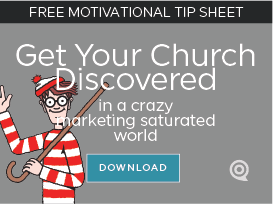 So, it makes sense that your church website and communication materials need to be short. Why? More people will read a few words before they read a long paragraph. More people will remember and share something that’s shorter. The problem? It’s not easier to write fewer words. It takes talent, a lot of editing time, and true talent, to write something really short that’s worth reading. Twitter has it right: people, online and in print, will share and engage with something that’s less than 140 characters. The shorter it is, the more people read it. People spend about 10 seconds on a web page. You can only consume about 50 words in that time. So why write more? Your goal. 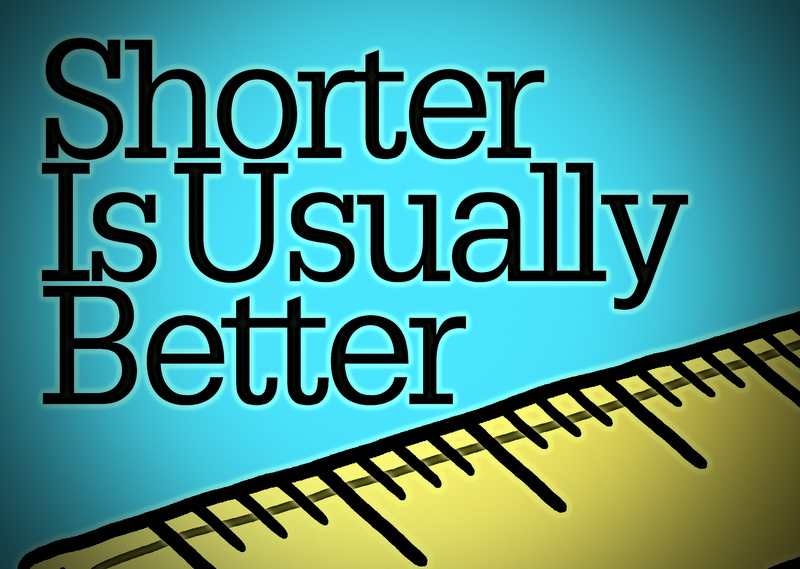 Write something that’s shorter than your reader’s attention. Your sentences need to end before your audience stops reading. Or you’re wasting your time. Stop making people read a lengthy dissertation so they can discover the nuggets of truth. Statistics say it won’t happen. You do the hard work of unearthing the nuggets so they won’t have to.